This vacuum suction cup hook is easily mounts to the wall. 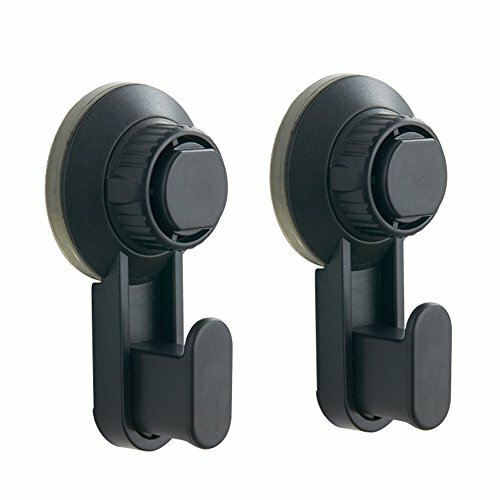 Strong suction cup and power Lock system of this suction hook provides secure placement to non-porous surfaces. It is really a good choice to use to hang napkins, towels, cup, bath sponge, loofahs or some hand-made decorations on wall or windows. 2)100% money back guarantee --- If there are any questions, just contact us for replacement or full refund. Buy our hooks and give you a clean and tidy home from now on.